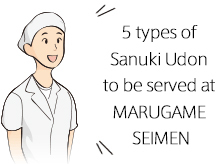 MARUGAME SEIMEN takes an order in self-service style. 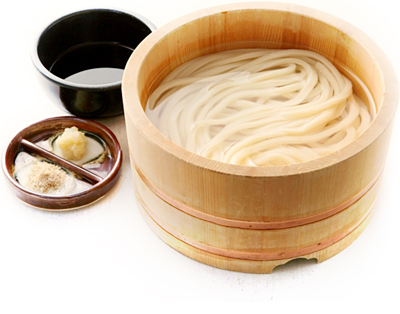 According to the serving style in Sanuki, we serve Udon hot from the pot to the tub. 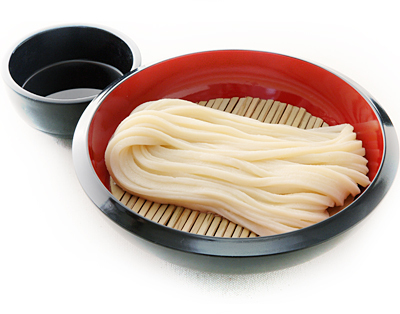 This is our recommended choice to enjoy chewy Udon noodles. 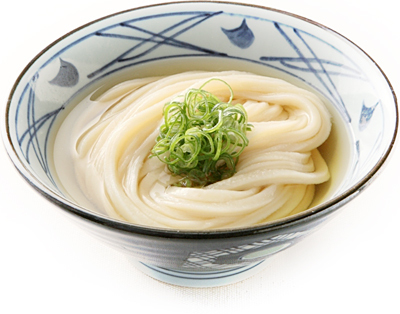 This is a classic style of Udon served with broth. Please help yourself to broth. 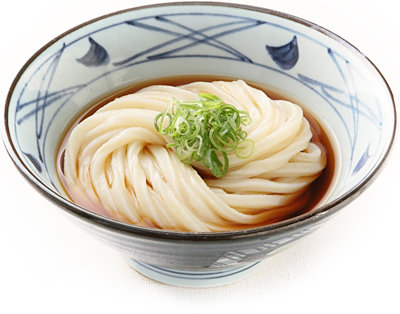 We serve Udon with thick broth. 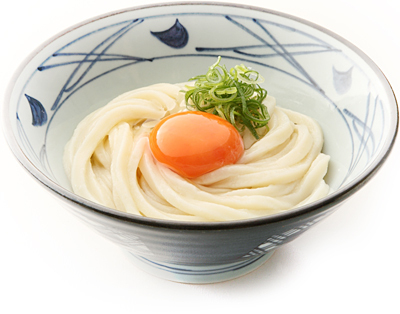 You may also try "Torotama Udon" with sticky yam and soft boiled egg! We serve hot Udon topped with egg. Please help yourself to Dashi-shoyu (soy-sauce broth), mix them well and have a go! Cooked Udon rinsed in cold water goes very well with thick broth. You will definitely like it.